“We just have one day to save our baby girl’s life. For the last 6 months, she has spent every day in pain. Her stomach hurts so much, that on some days, she just lays on the floor, screaming and crying. I hug her tight to comfort her and tell her she will be fine, but nothing I do can ease her suffering. 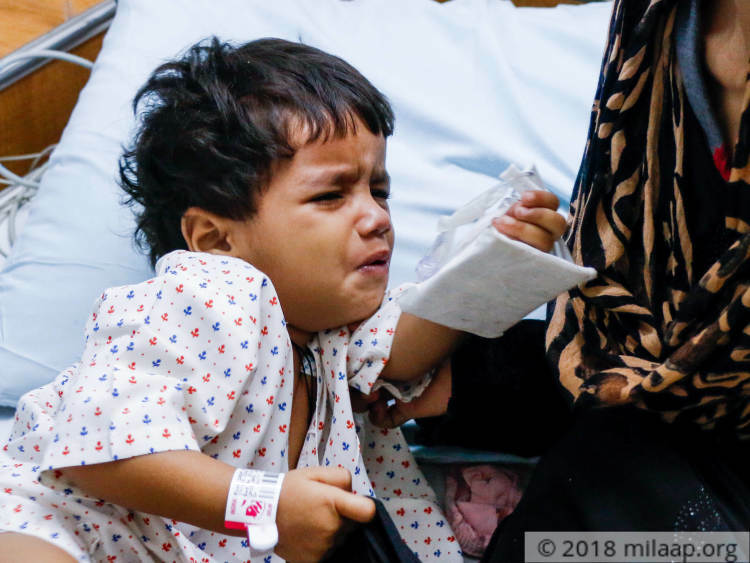 Now, only urgent surgery can save our Sadaf, but with barely 24 hours left for the surgery, we’re still struggling to find a way to afford it.” - Shayesta, Baby Sadaf’s mother. If there’s anything that brightened up Shayesta’s day, it was baby Sadaf’s (2) beautiful smile. But it’s been months since this distraught mother has seen her baby smile. Now, when Sadaf isn’t crying out in pain, she’s begging Shayesta to take her back home from the hospital. Every night, Shayesta stays awake worrying about what the next day will bring for her little one. Sadaf’s condition is getting worse with time. Without surgery tomorrow, she won’t make it. Baby Sadaf has an obstruction in her bile duct because of which she can’t digest food, or even eat solid food anymore. 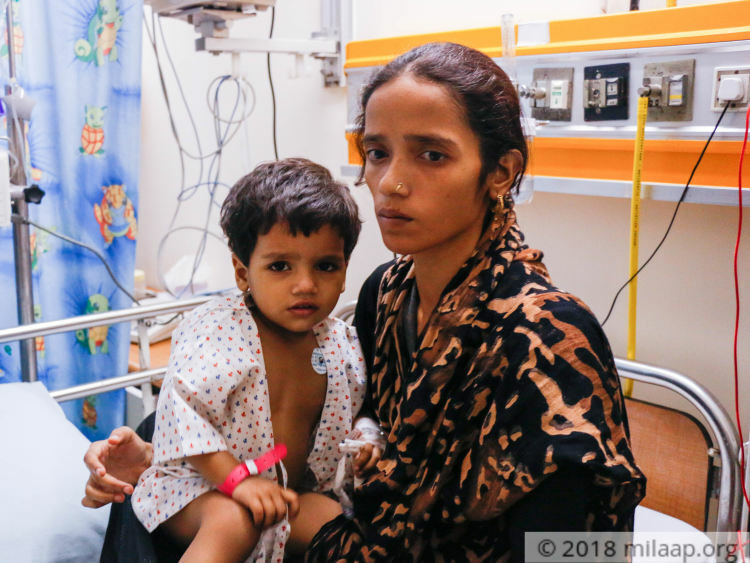 The obstruction is severely affecting her liver, and without surgery, Sadaf will suffer complete liver failure or worse, death. However, baby Sadaf will only make it if her parents can afford the life-saving surgery that she needs tomorrow. Shayesta and Ashraf find themselves helpless. They’ve spent their savings to get her tests done so far, but the surgery is beyond their means. 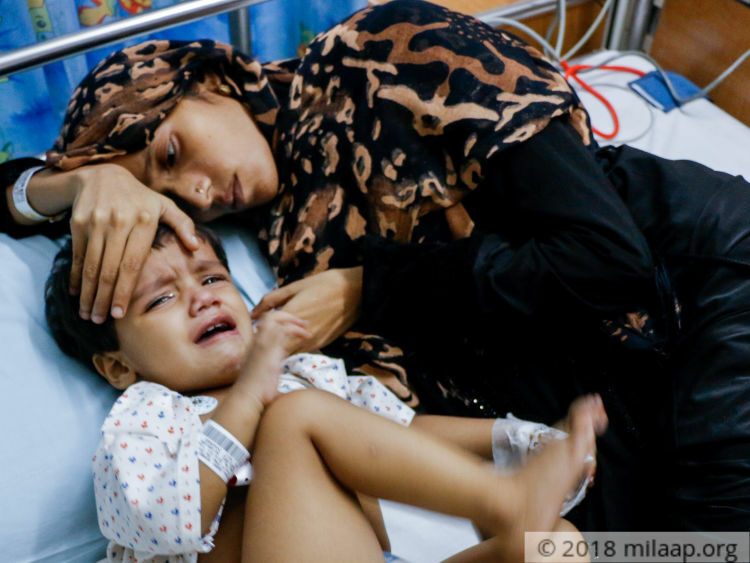 With no time to waste to save their daughter’s life, they’re doing everything they can to stay strong and somehow find a way to afford the surgery. Unfortunately, they’re falling short. 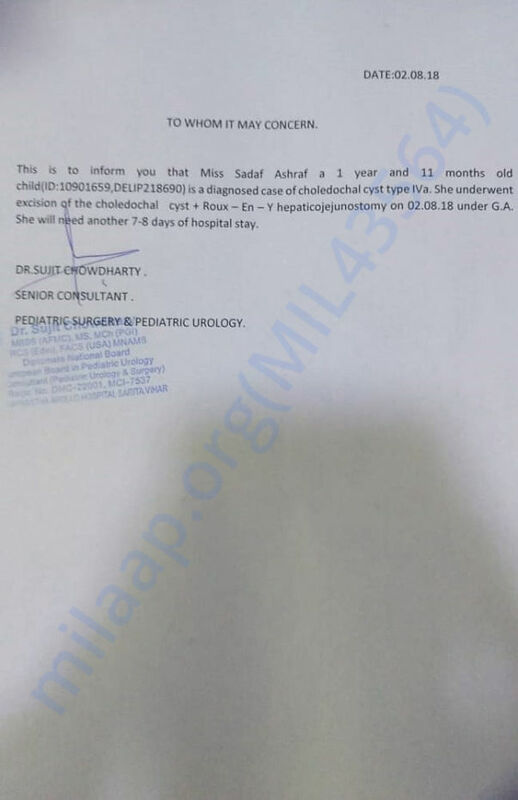 Sadaf needs a surgery to remove to the obstruction in her bile duct tomorrow. Without this, her liver and life are in danger. 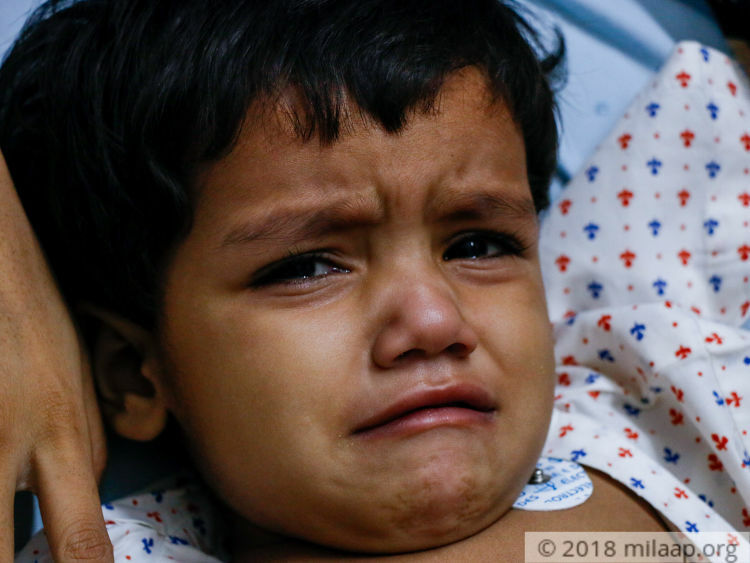 Shayesta and Ashraf are desperate to save their precious baby girl, and watching her slip away before their eyes have left them helpless and heartbroken. 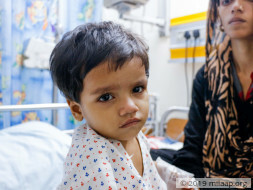 Little Sadaf needs your help to survive this terrible disorder. Baby Sadaf is got discharged and is doing well. She will be on periodic follow ups. Family would like to thank all of you for the support and blessings you have given. Without your support it wouldn't have been possible. 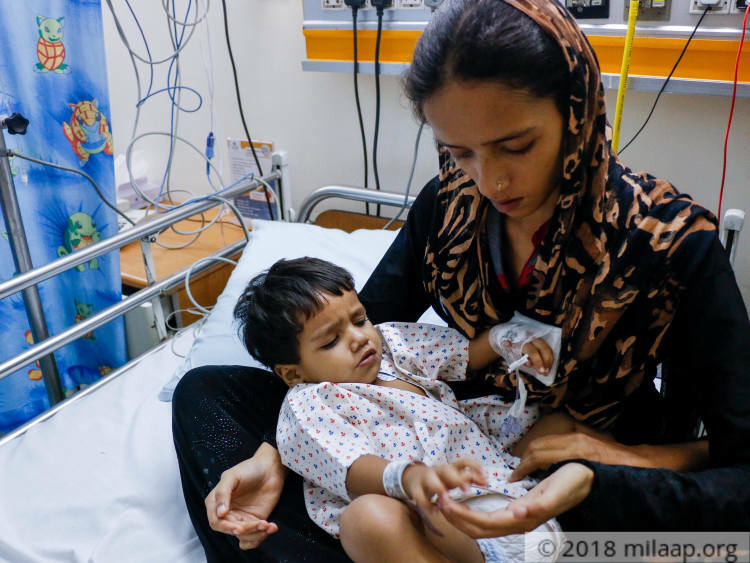 There is a small amount left in her campaign and the hospital would like to help another kid in need of funds for her treatment , Baby Vaishnavi. 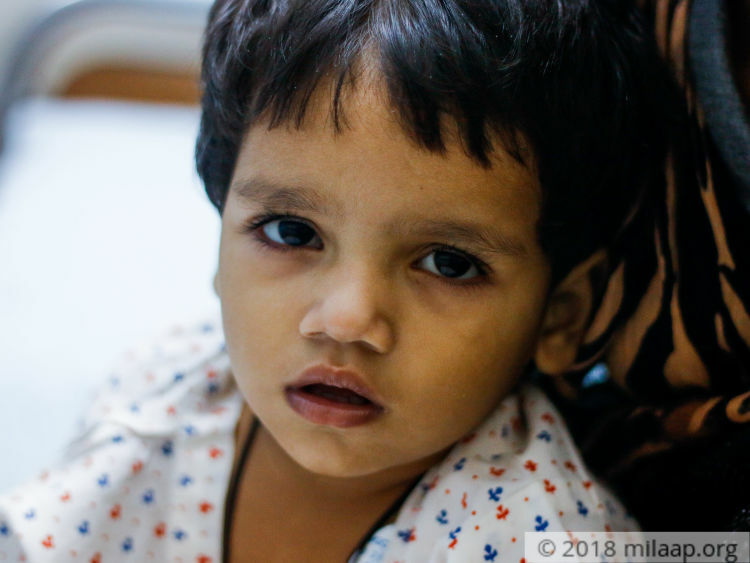 https://milaap.org/fundraisers/support-baby-vaishnavi. Once again , the family would like to thank all of you for the wonderful support. Baby Sadaf was discharged from the hospital. At present she is on normal diet, hydration is adequate and the wound is clean. Overall she is doing well and the parents are extremely happy to have her home. Doctors have suggested regular follow ups for her. This couldn't have been possible without the support of you all, thank you so much. 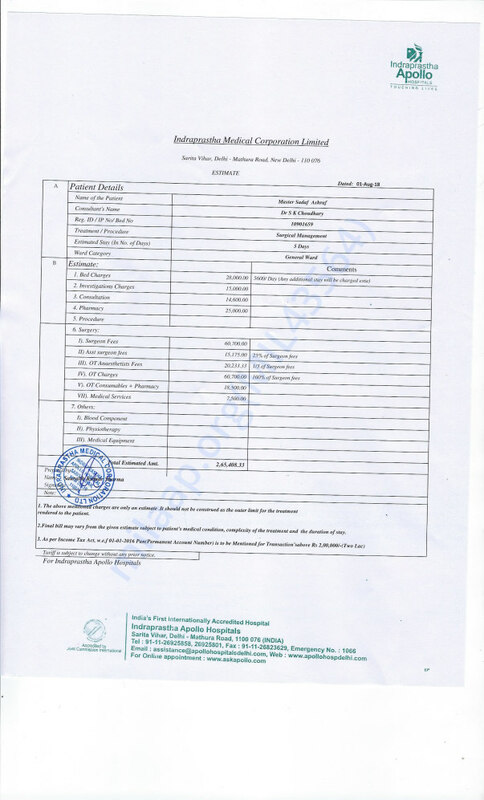 Thank you so much for the support you have shown towards baby Sadaf. We would like to inform you that Sadaf underwent the surgery successfully and is now in the ICU care. She will remain in ICU care for another 2 weeks in order to recover.